The Collin Rose Memorial K-9 Safety Award was founded to showcase, support and reward the contributions made by police officers across the country. 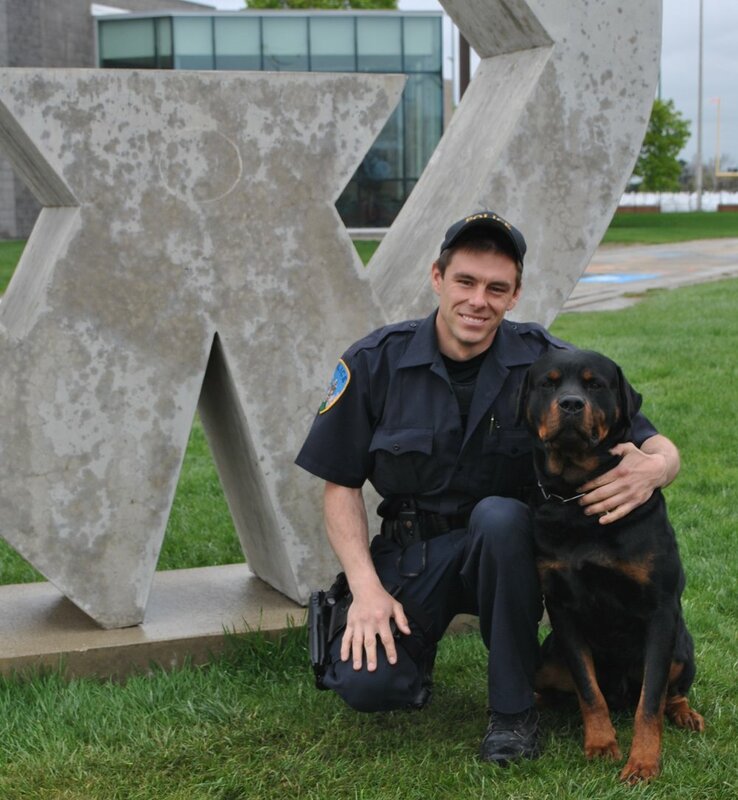 The late Officer Rose championed canine safety efforts and worked to improve the welfare of the canine community. This award salutes those who similarly advocate for the safety of working police canines and those who work to improve the quality of life of the canines in their community. The award also recognizes those who go the extra mile to reunite lost dogs and those who work to promote nonviolent resolutions to animal complaints. The Officer Collin Rose Memorial Foundation is proud to accept nominations and honor worthy police officers for their efforts to further our hero’s legacy, promoting canine safety initiatives and canine quality of life. Download the nomination form. AWARD: $2500.00. The recipient can choose to direct the award toward their agency's K-9 program for maintenance, safety equipment or officer training or they can direct the award toward a nonprofit animal welfare organization operating within their community. It is strongly preferred that the nominated officer be working with an IRS 501(c)(3) tax-exempt organization willing to accept funding on the department’s behalf. ELIGIBILITY REQUIREMENTS: The nominee must be a sworn and active American Police Officer working to promote canine safety awareness and community kinship throughout their neighborhoods. The officer must be employed at a law enforcement agency within the ﬁfty United States or the District of Columbia. Nominees do not have to be a canine handler. NOMINATION REQUIREMENTS: All nominations must include a photograph of the nominated officer and should be concise and typed. The attached cover page must be completed. Please submit all of the following items and information in one nomination. Incomplete nominations will not be accepted. Please do not staple, bind or print proposal double-sided. Do not fax or email submission. Self-nominations are acceptable and will be considered by our awards committee. Nominations can be based on a specific case or a number of accomplishments for 2019. DEADLINE AND EVALUATION: Must be postmarked by Saturday, December 21, 2019. Late or incomplete nominations will NOT be accepted. Nominations will be reviewed by the Officer Collin Rose Memorial Foundation’s Scholarship Awards Committee. They will be evaluated on thoroughness and inclusion of supplemental materials as well as the level of impact the granting of the award may have in their community. Finalists will receive notification with an invitation to accept the award. A social media poll may be used to select the winner or the committee may choose the winner. Full rules can be viewed HERE.